I returned home from my first Cunard cruise in August 2016 and that’s where my blog story begins. The experience surprised me in many ways and when I got home I found myself thinking ‘why didn’t anybody tell me any of these things? !’ I was fed up of telling colleagues and friends I was going on a cruise and being met with the phrase ‘but aren’t cruises for old people? !’ and so this blog was born. I have had a brilliant year talking to so many like minded cruisers, you’ve all made me feel a little less crazy for being so cruise mad. 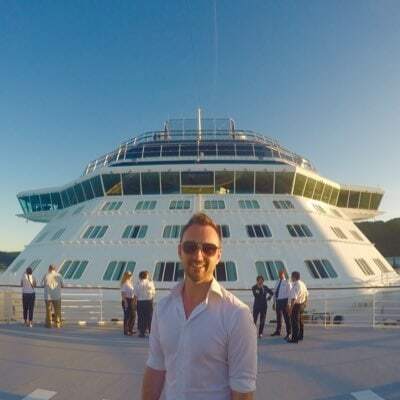 To start the new year I’d like to talk about some of my favourite cruise blogs and the people behind them. I have immensely enjoyed writing and sharing over the last 4 months or so, I have had the pleasure to talk to many people who I would never have met if it wasn’t for the blog. Below is a list of my favourite cruise blogs, no particular order, which I have enjoyed reading in 2016. 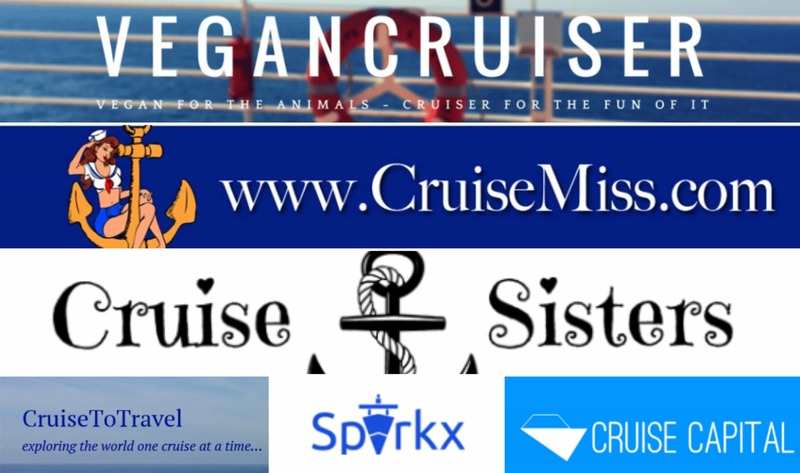 Vegan cruiser is run by Sanna, a fellow UK based travel cruiser who believes that cruising and veganism aren’t mutually exclusive. I’ve enjoyed learning a little about veganism and seeing the range of vegan food which is available on cruises. Her Instagram feed is often full of photos of yummy vegan cruise food! Vegan cruiser is a very easy blog to navigate with lots of photos and colour, I am looking forward to seeing what adventures she goes on in 2017. 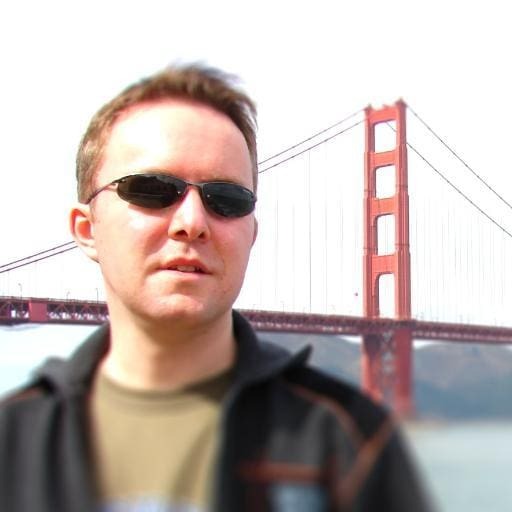 Marcus is another UK based cruiser who has degrees in Molecular Genetics and Transport Planning (woah impressive). He writes generally about cruising and has some amazing photo reviews of ships and places that he has visited, the photos are absolutely gorgeous. Sparkz’s posts really are a joy to read, I find myself learning things and laughing at the same time which is always a bonus! Rick has written many many posts on a wide variety of cruise related topics. I normally come to Cruise to Travel to find out about cruise news. Cruise to travel is always the first blog to have news of a new ship or new port of call! Thanks to Rick and his blog I always know if a ship is being repositioned or is having new artwork. I honestly think its almost impossible to visit Cruise to Travel without learning something new. Cruise capital is one of the most extensive resources for cruisers. It’s more of an established website than a blog but still feel that it needs a mention here. Cruise capital provides cruise news as well as reviews of cruise ships and destinations, it was founded by another fellow young cruiser who takes all of the amazing photographs you see on the site. I have never been disappointed when I visit cruise capital looking for cruise inspiration. No cruise blog list would be complete without CruiseMiss! I like to think of Danielle as the queen of cruise blogging. 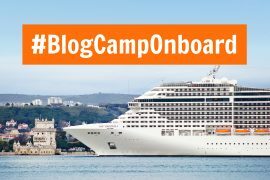 CruiseMiss was one of the cruise blogs I read before starting my own and I enjoy following her journeys around the world. I particularly enjoyed following her journey recently on a Saga mystery cruise, I never knew such a thing existed! Her blog provides tips and advice for first time cruises as well as cruise news and extensive reviews. The cruise sisters are, as the name suggests, two sisters who love to cruise! They’re from Germany but, luckily for me, their blog is also in English. The cruise sisters blog offers destination tips for ports and cities all over the world as well as many beautiful photos. They have a daily Instagram feed of gorgeous photos which make me envious every single day. They even have cruise sister pillows! 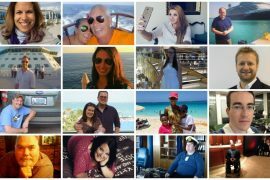 This is in no way an extensive list of cruise blogs, however these are the ones which I regularly find myself checking up on for updates. I hope that these blogs will inspire you as much as they have inspired me. I can’t wait to see what adventures we all get up to in 2017. Its our 1st birthday and we are Wave award finalists!